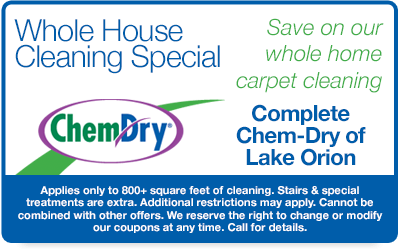 Complete Chem-Dry of Lake Orion is your source for affordable, green carpet cleaning services! 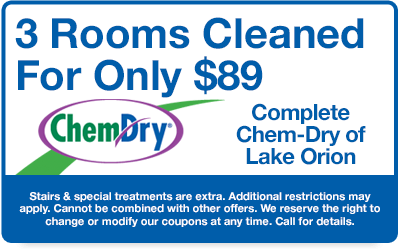 Our innovative carpet & upholstery cleaning services are available throughout Clarkston, Lake Orion, Rochester, Oakland Township, Troy, Ortonville and the surrounding areas. 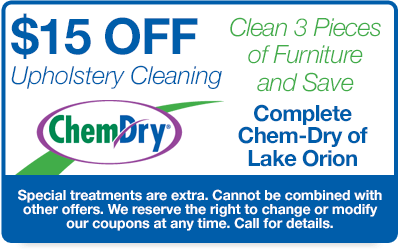 Get even bigger price discounts using the upholstery and carpet cleaning coupons below, only available through Complete Chem-Dry of Lake Orion. 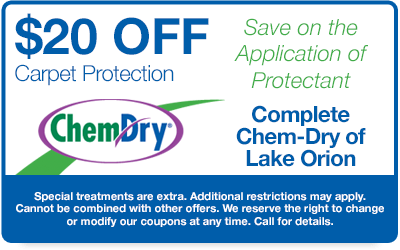 Please make sure you mention your coupon when you request a price estimate or book your appointment!